You probably never set out to live on credit or accumulate debt. You began by thinking, “I’ll buy this on credit and then pay it off over time. This’ll help me build my credit and at the same time, get this nifty new computer.” While this seems perfectly reasonable and rational, many of us still end up finding ourselves mired in a swamp of debt despite the fact that we started out with really good intentions. If you find yourself stuck in debt and you realize you’ve accumulated much more than you could ever hope to pay off, what can you do? One answer is to borrow the money to pay off all those debts in the form of a debt consolidation loan. The advantages of a debt consolidation loan are that it would eliminate all those payments you’ve been making every month and substitute, instead, just a single payment. That payment should be dramatically less than the sum of the payments you’ve been making and at a decidedly cheaper interest rate. For example, you might be able to swap monthly payments totaling $1200 for a single payment of $350. Wouldn’t that make life seem brighter to you? The author Joseph Heller coined the phrase “catch-22” in his book also named Catch-22. If you’re not familiar with a catch-22, it’s a situation of paradoxes where the person cannot or is unable to elude a problem due to contradictory constraints or rules. The way it applies here is that the deeper you are in debt, the more you need the loan but the more you’re in debt, the harder it is to get a loan. To put this a simpler way, banks love to loan money to people who don’t need it. In comparison, they hate loaning money to people who really, really need it. Some of these options are self-explanatory. For example, borrowing money from family members or friends is just that. So, too, is applying for a loan at a credit union. However, some of the others require a bit of explanation. A new form of lending that has emerged over the past few years is called peer-to-peer lending. This is where you borrow money directly from another person or group of people with no intervening financial institution such as a bank. The five most popular peer-to-peer lenders as of this writing were. The way that peer-to-peer lending works is roughly the same as applying for a conventional loan. You go online, choose a lender and then fill out an application. In the case of Lending Club, it has interest rates that vary from 6.78% to 29. 99%. To get started, you first click on a box titled Check Your Rate. You then fill in information such as how much you need, how you’ll use the money and your credit score. Once you’ve done this, you will go to a page where you fill in your first and last name, street address, date of birth, yearly income, ZIP Code and so forth. 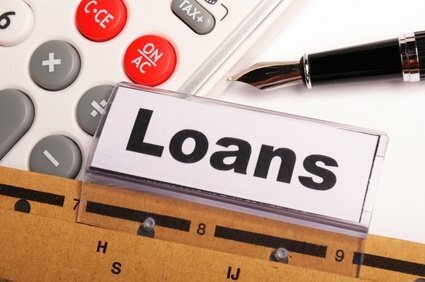 Following this, you will see your interest rate and can then decide whether or not to get the loan. The other four peer-to-peer lenders have slightly different application procedures but they all tend to ask for the same information. And here’s a video with more information about peer-to-peer lending and how this really works. If you own your own home or have another valuable asset you could use as collateral, you might be able to get a secured loan. Banks and credit unions are often more willing to provide loans to people who are in trouble with debt if they have something they can pledge as collateral. The reason for this is because this lessens their risk. If you were to default on the loan, they could repossess your asset – such as your house – and would not lose as much money as they would in the case of an unsecured loan. There are actually consolidation loans for people who have bad credit called bad credit loans. As an example of this, Direct Lenders Finance offers loans for people with bad credit up to $10,000. These are unsecured loans with terms of six months to five years. Unfortunately, you will not be able to see your interest rate until you have submitted your information and met their “minimum requirements.” So you could go through the entire process only to find that you would have a sky-high interest rate beyond anything you would want to pay. You might be able to get an unsecured loan with a reasonable interest rate if you were able to find a cosigner. This is a person who would sign for the loan along with you. He or she would have to have a good credit score and a good credit report. Banks and credit unions look favorably on cosigners because should you miss a payment or more, they have another person that could make up the difference.